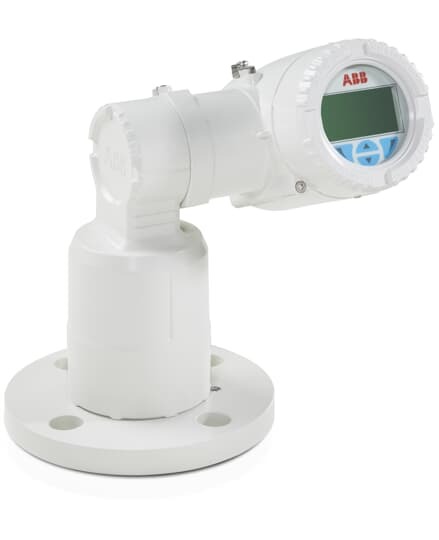 ABB is a leading manufacturer of state-of-the-art level and volume instrumentation for liquid and bulk solids detection. The family of non-contact laser volume and level products, LLT100, LM80, and LM200, provide solutions for accurate measurement in the following applications: inventory in bunkers, blending hoppers, reactor vessels, level control, volumetric measurement, and various dry bulk solids and liquids in silos. Designed specifically for industrial applications and harsh environments. The measuring laser uses invisible, infrared light. There is a second, visible aiming laser to help with the alignment of the measuring laser. High performance laser transmitter that accurately measures level, distance and position over long ranges in extreme environments.